Quipu is a spin-off company of the Italian National Research Council (CNR) and the University of Pisa (UniPi). Institutional and private investors are really interested in Quipu, that is in strong growth in the biomedical field. To introduce a next-generation ultrasound system. We are now designing a smart ultrasound scanner that will be operated by the software applications. To develop new applications. We are now working on new applications in the fields of cardiology, herpetology and dentistry. To address new markets. We are now working on FDA clearance and we are going to address asian market. Quipu seeks an investment to complete its development plan and to support the commercialization of the new products. Why invest in our company? Quipu develops the next generation of biomedical ultrasound systems. Quipu team is highly motivated and was able to implement the start-up phase of our project. Our start-up business model can be scaled up. Quipu can exploit its strong link with biomedical researchers and innovators for a continuous and rapid update of their products. Exit strategy: acquisition by a major medical devices company. 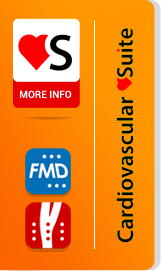 Cardiovascular Suite 2.0 software completed. First customer in Europe. Software CE approval 93/42/CEE. First customer in USA. Company quality system certification EN ISO 9001. First customer in Oceania. Cardiovascular Suite 3.0 for Windows. First customer in Africa. For more information or investment opportunities with Quipu, please contact us.